"We work closely with our customers to ensure they are getting what they want, and need, and great value for their investment. MRFM's business is to provide competitive business solutions, not just products." Welcome to MRFM. IT Consulting and Facilities Management. We have many years of experience in professional services and consulting with a major focus on Microsoft Dynamics CRM as well as complementary software solutions such as Microsoft Sharepoint. The Company has an experienced team and has focused on delivering great customer service since 1996. Customers today expect to have access to high quality and reliable business solutions delivered by the right resources to make sure they get what they want - and need - and to stay within their budget. Delivering these benefits is the competitive edge of MRFM. MRFM provide rapid IT support to our customers in Melbourne. We maintain and troubleshoot your IT system to ensure smooth running and high availability. Network and Internet setup and troubleshooting. 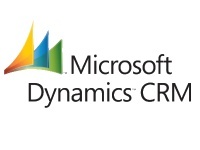 MRFM is a Microsoft Partner and Certified Software Advisor for Microsoft Dynamics CRM. We specialize in identifying how Microsoft Dynamics CRM can solve business problems. We then design and implement the solution.